Unleash your creativity with intense and vivid Tulip Dual-Tip Fabric Markers. 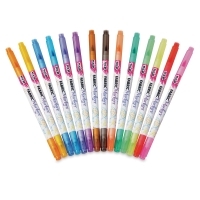 These easy-to-use fabric markers deliver true, permanent color that lasts. 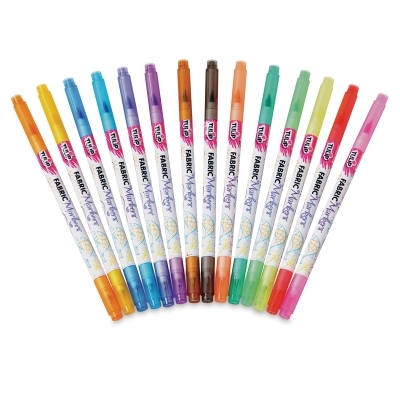 Each marker has two tips — a brush tip and an extra-fine tip. Pack of 14 markers in a reusable storage pouch. 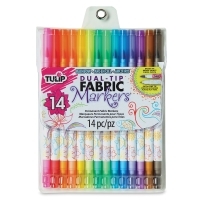 ® Tulip is a registered trademark.® Fabric Markers is a registered trademark.